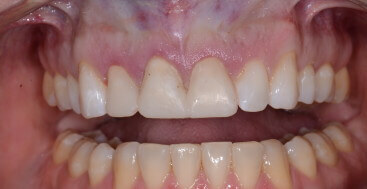 In this video I fabricate a set of shrink wrap provisionals for 3 anterior teeth. 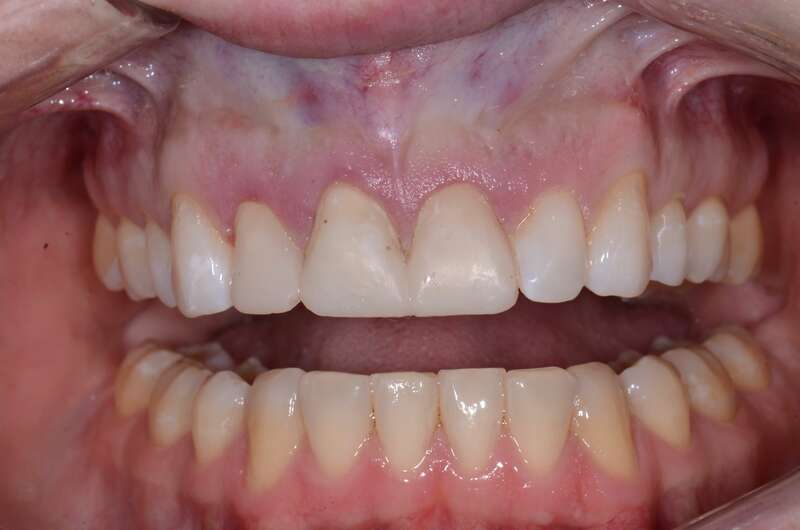 Hi Dr. Brady, I will be prepping teeth 5-12 as the start of a full reconstruction and have questions about the Shrink Wrap technique for provisionals. The preps will be slightly sub gingival to protect against an acid problem. 1) Is it hard to get a good marginal seal in this situation? 2) Is it ok to have them splinted 5-12 or should it be segmented? Provisionals will be in place about 4 weeks. As long as the margins are not excessively Subgingival this technique works great. I’d say you can go 1/2 to max 1mm subgingival and use this technique. When you carve the trench with your cleoid instrument, carve away about 1/2 to 1mm of the model that represents the FGM and then do the trench further sub G. Shrink Wrap provisionals are always splinted. You use the mosquito diamond to create a gingival embrasure for a floss threader, and no I wouldn’t segment them, leave them as one unit. It does work very well even with some crowding, rotations etc. It is designed to “lock” into the gingival embrasures and undercuts that is part of what makes it so durable. How difficult would it be to remove these provisionals? Do you endanger the preps, have to cut off the provisionals, or is there a secret you have? Thanks! Veneer provisionals in my book either fall off all the time or have to be cut off. I’d rather have the later. I ask my patients to eat everything on a knife and fork while in their veneer provisionals, then please have pizza, a sandwich or a bagel the night before the seat appointment. You would be surprised how often they come in with the temps loose enough to remove with hemostats if they actually do this. Otherwise I use a small 330 carbide, on slow speed dry and I put slices into the bisacryl and then separate them that way. I put the die model on my tray table as I do this so I can see where I have spaces interproximally, and how much bisacryl I have on incisal edges. The key is cutting slow and dry so you can see that you are still in the bisacryl, I never go through to the actual prep. Put more grooves then you think you might need, they are simply designed as places to put an instrument and to weaken the bisacryl. I also do not use the “hardest” bisacryl on the market for veneers, I actually want a material that I can remove easily. Once you have all the grooves, put a bladed instrument in each one and twist “gently”, do all the grooves, and then usually a scaler at the margins will pull off the pieces.